Facebook Instant Articles – Statcounter Blog. Did you catch that? Over $1 million dollars. Per day. Keep reading to see if Instant Articles is a good fit for you or your publishing company. Facebook Instant Articles (sometimes abbreviated FBIA) is a mobile publishing format. 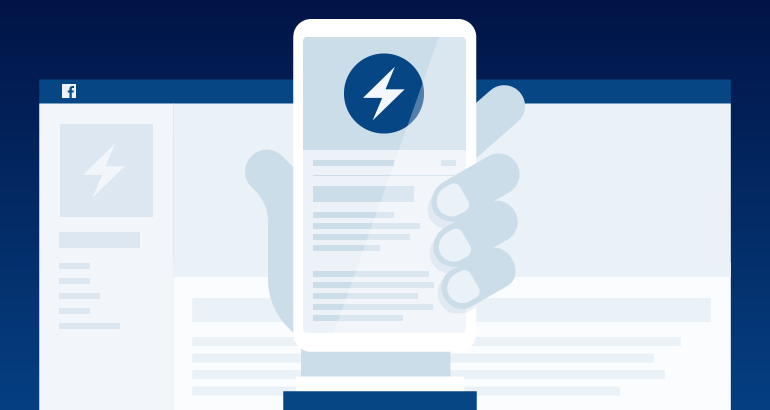 Similar to Google’s Accelerated Mobile Pages (AMP) Project or Apple News, Facebook’s Instant Articles are designed to help content on the mobile web load more efficiently. Facebook announced Instant Articles in a blog post on May 12, 2015. Initially, it was only available to nine launch partners: The New York Times, National Geographic, BuzzFeed, NBC, The Atlantic, The Guardian, BBC News, Spiegel and Bild. This list ballooned to a few hundred publishers, as Facebook gathered feedback and made adjustments to the format. Today, Instant Articles is available to all publishers. There are a number of reasons why publishers should use Instant Articles as part of their distribution model. For starters, they can use Instant Articles to distribute posts to Facebook’s app that load and display much quicker than standard mobile articles; per Facebook, “as much as 10 times faster” — an attractive feature for publishers that produce media-rich content, such as autoplay videos, high-resolution photos and interactive maps. In addition to posting multimedia articles, publishers can monetize content, and track data and traffic. In August 2017, Facebook also introduced a call-to-action app-install unit. 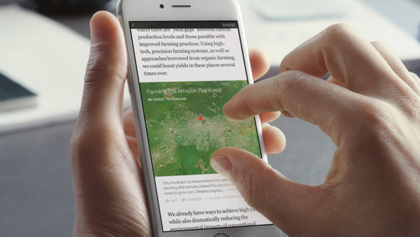 Any Facebook user with an iPhone or Android device can access Instant Articles. So publishers can share rich content that loads instantly in the News Feed, get in front of new and recurring readers, and make money. To begin, sign up for Instant Articles. You must be an administrator of the Facebook page to sign up; if you’re an administrator for multiple pages, choose the one you’d like to use. After you accept the Terms and Conditions, you’ll proceed to Publishing Tools, where you can customize the look and style of your Instant Articles. Next, import your website articles. Note: Familiarity with HTML is helpful here, as an Instant Article is an HTML document. However, there are plenty of guides and tools available online to assist you. If you use WordPress or Drupal for your publication, you can use a Facebook-designed or -approved plugin to help with setup and maintenance. Here’s a walkthrough guide for WordPress and a list of third-party tools. You’ll have to greenlight your site to begin converting your content to Instant Articles. Under Publishing tools, go to Configuration to register your website URL and find the code. With the WordPress plugin, you’ll only have to input your URL. Facebook must approve every new publisher, which may take two business days. You can’t begin publishing Instant Articles otherwise. Facebook also has a Submission Checklist you can review before submitting your articles. You must submit five articles for review. You can also use the Facebook Pages Manager app to preview Instant Articles. Under Configuration, click Submit for Review when you’re ready. When your Instant articles are approved, you’re ready to publish! As with content on your own site, you have the opportunity to make money here too. You can monetize articles on Instant Articles three ways: direct-sold ads, Audience Network and branded content. Audience Network: Publishers can choose from three different units: banners, interstitials and native ads. You’ll “need to create a new Audience Network app dedicated for use within Instant Articles.” Approved publishers can also create in-stream video ads. Branded content: You can use Facebook’s design tools and publish branded content as Instant Articles, though you’ll need to identify it as such. You must follow Facebook’s branded content and ads policies as well. You can place ads in Instant Articles manually, automatically or both. For automatic ads, Facebook will place blocks of ad code throughout your article — you have the option to control the ad density — in an optimized manner. For manual ads, you can disable automatic placement and define the ad elements in the article. However, you’re only allowed one ad for every 350 words. Lastly, you can place ads in recirculation units at the bottom of articles (currently in beta). You’ll need to sign up with Audience Network for this feature. When you’re ready to start collecting data, we have an install guide for Facebook Instant Articles to get you started. This is a great way to learn how to make money. Right guys. But can anybody tell me how can I make money by playing games? Sorry for asking this weird question but I am a gamer so I like only to play games. Thanks a lot for sharing this informative blog. I am new to this field, and thus i am hoping for the similar post so that i can enhance my knowledge. Instant Articles are a good way to earn money but you need to know the market properly before you get into it. It also depends on the subjects well. the worst part if finding what to talk about. Instant articles are a good way to make money but it is very time-consuming to find the best subjects. But you made some good points though.